This challenge was one of the 25 (minus a few canceled ones) written and organized by TrendMicro for their TMCTF 2015. I played with the Swiss team “On est pas contents” and I won’t disclose how badly we ranked 🙂 Some challenges were really boring (a crossword where half the solutions come from the commercial product aisle? Not for me). Some were frustrating, and one was really great: Poison Ivy network capture. A hacker was caught using Poison Ivy on a real system. Please understand what he was doing to get the flag. 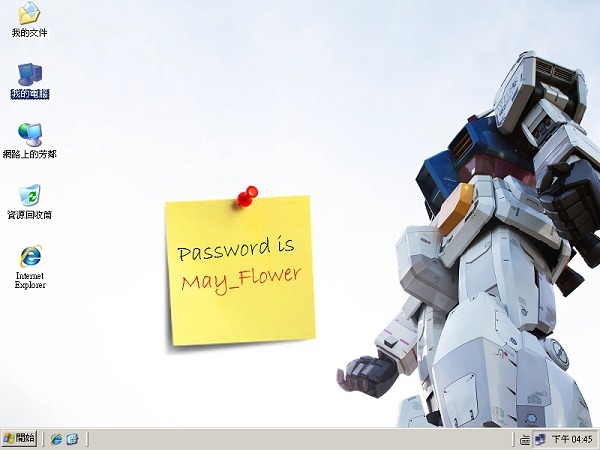 (ps: password is admin). With that exciting information I start downloading the pcap. 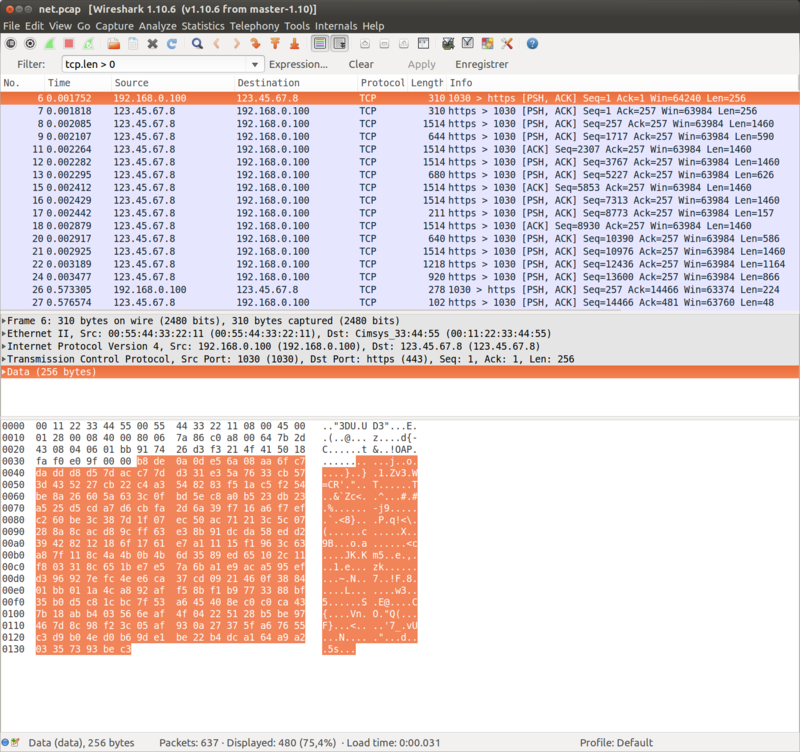 Opening in wireshark, it appears it’s a single TCP connection on the 443 port. This doesn’t look like https and the wireshark dissector doesn’t want to parse it. Right click on a packet, “Decode as…” and check “do not decode” makes us see the raw exchange. A quick glance in the packets… and everything looks encrypted. A few google queries reveal no public wireshark dissector for Poison Ivy and no standalone dissector either [PS: I need to improve my google skills, see comments]. Let’s find out how it works ! encrypt the blob with their Camellia key, and the C&C sends back the encrypted blob to the RAT. The RAT verifies the response is valid and begins communication. A few minutes of cracking… and the password appears, it’s “admin”. I’m checking the question again and realize they gave it as an hint. I don’t know why they did this, cracking the password was the easiest task of this challenge. The next step involves sending two payloads to the RAT server. These payloads are encrypted and come with a very simple cleartext header that simply contains the payload size. The first payload size is always 0x15d4 so that’s a nice way of checking if we’re good. 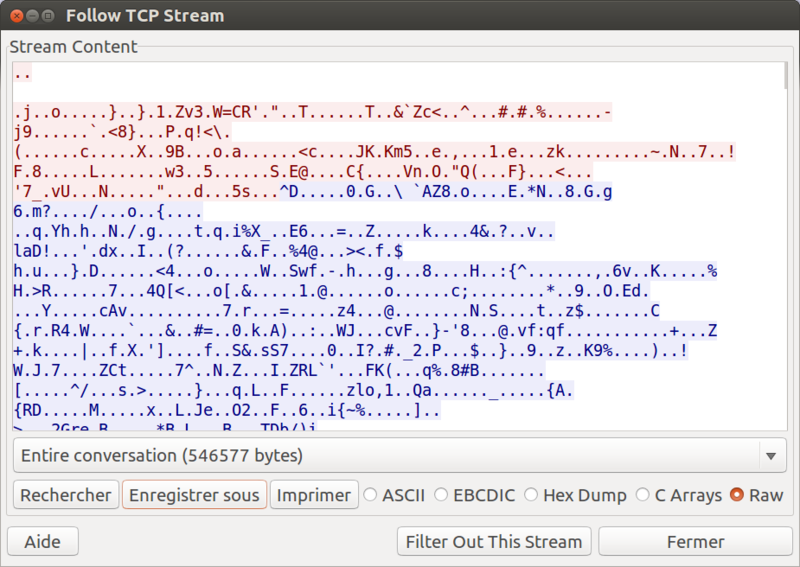 I solved the problem of feeding the pcap data by using wireshark “follow TCP stream” function and exporting to a file. This is a synchronous protocol (I really hoped so :p), and both client & server messages use the same packet format, thus this approach would work. Let’s write a parser for the two headers + extract the payloads. I did decrypt them to be able to quickly peek a look, just in case the flag was in one of them. The unknown data are 4 bytes (apparently not encrypted) that I couldn’t figure what they did. We’re now working on the headers and actual packet protocol. Again, the document explains quite well what we should expect in the protocol. Next follows a 32 bytes (encrypted) header giving more information about the next packet: size, type, compression and complete packet size. From now, everything is encrypted. Command_id is the type of command. We’ll guess what happens on the RAT from there. DataLen is the size of the packet (excluding header) after encryption. RealDataLen is the size of the packet after decryption (without padding) but with compression. UncompressedDataLen is the size of the full packet, and totalStreamSize is the size of a full stream (may concatenate several packets). Compression? Let’s hope there’s none… it’s zlib right? 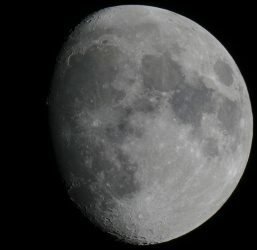 Depending on header information, data can be compressed. functions using the COMPRESSION_FORMAT_LZNT1 algorithm identifier. The decompression made it more obvious the type of content in packets, but still no trace of a cleartext flag. We have to dig further. The pdf enumerates the different command types, and we learn that 0x19 is the “take screenshot” command. May_Flower is the flag. Full code here. This challenge was interesting because little guessing was required, still actual work to decrypt, parse and decompress the protocol was needed. I’m just a little disappointed that the password was simply on the screenshot (I first expected the sample to be genuine, and having to find the password in the keylogger traces). I was lucky that the protocol was synchronous and symmetrical, otherwise I would have lost a lot of time to follow the client/server traffic switch and mixed data. But let’s be honest, one of the two ways had more learning potentials than the other. Previous PostPrevious OpenSSL and LibreSSL PRNG, what’s different?